Then it was time for the Jozi Wine Route. Because, let’s be honest, being the City of Gold is fine if you’re into gold, but what Joburg (and Pretoria, for than matter) has always been lacking is a wine route. So after launching the concept in Slaapstad, they decided to bring it to the real city! The idea follows a very simple three step process. 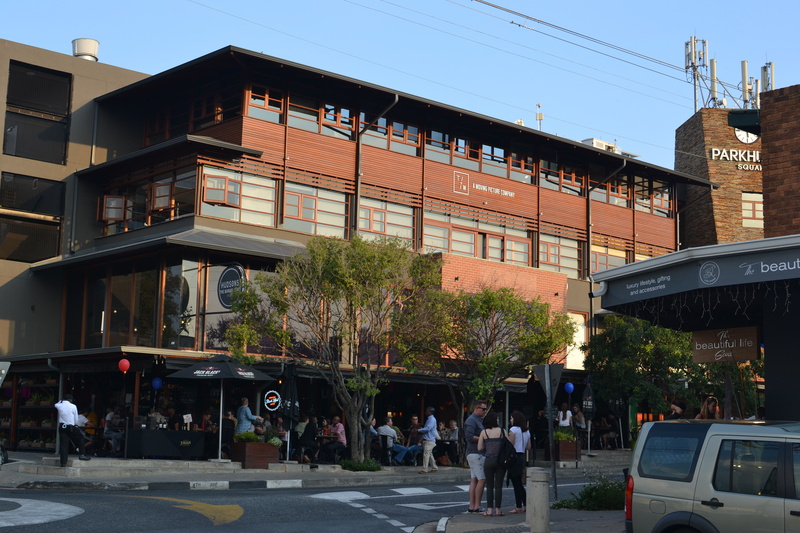 Step one: take a very popular streets littered with trendy restaurants (4th Avenue, Parkhurst). Step two: set up different wineries at said restaurants. Step three: there is no step theree. Simple! 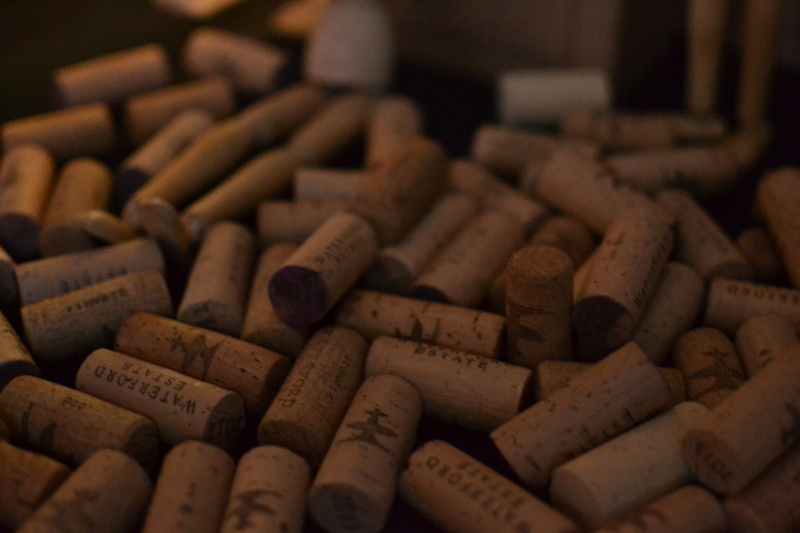 All you need is your ticket, and off you go on a wine adventure. Glasses (some call it stemless; I prefer tumbler) are supplied, as well as funky wine tattoos of the temporary variety. That being said, I’m pretty pretty sure my next tattoo will copy some elements of their designs…. Those of you familiar with 4th Avenue would know that there are a metric fucktonne of interesting restaurants lining hte strip. There really is something for every taste, price and level of hangry-ness. We have been wondering about some of these for some time, and the event afforded us the opportunity to check all of these out first hand. The vibe around the street was very festive, and everyone seemed to be in a great mood (also pretty sure the wine had something to do with that). The next event will be on the 5th of April 2017, and I can really recommend a visit. Also, go early: it got really busy later on, and the wine tables aren’t exactly massive. Another alos, parking could be an issue, because Parkhurst. There are designated parking areas available, just confirm beforehand. I’ve been super stoked about this event the first time I heard about it – a good couple of months ago. So imagine how excited I was when we received an invite to take part in the very first #JoziWineRoute! And it is such a fantastic concept. 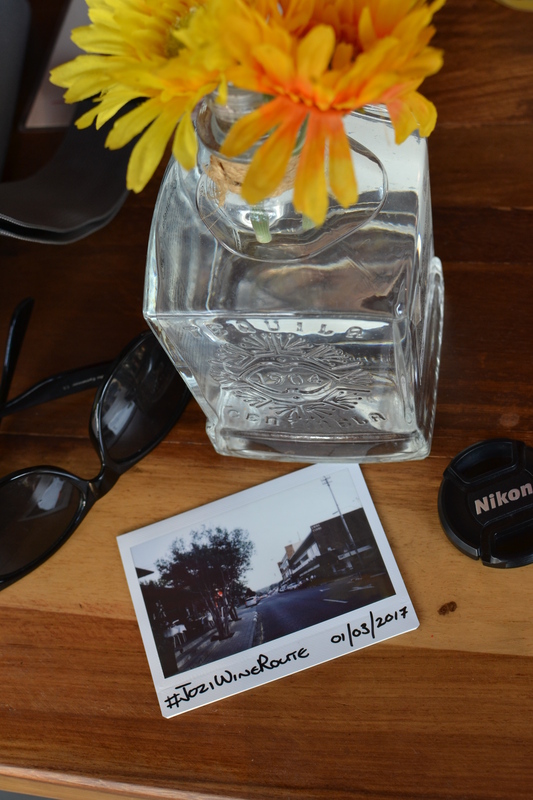 Strolling the streets of Parkhurst, mingling with fellow winelovers and sipping and munching as you go along. Can’t think of a better night out! 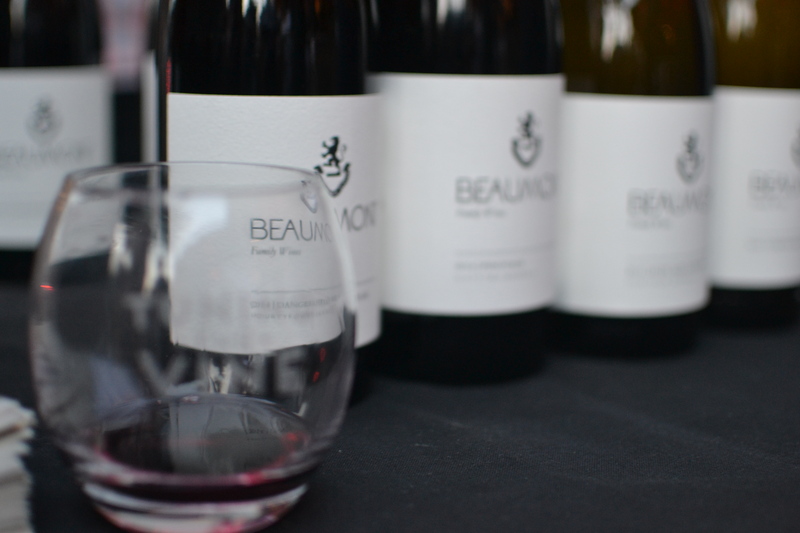 And the wine estates present included the best of the best! 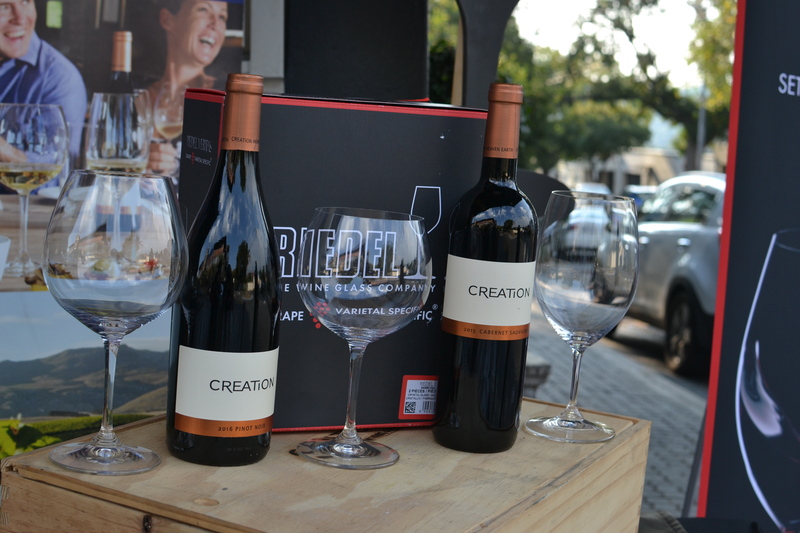 To name a few – Creation, Warwick, Idiom, Vondeling, Saxenburg, Steenberg – and LOTS more. And I thoroughly enjoyed the “Taste of Chenin” set up at Hudsons – with a variety of Chenin Blanc on hand to sip and sample. 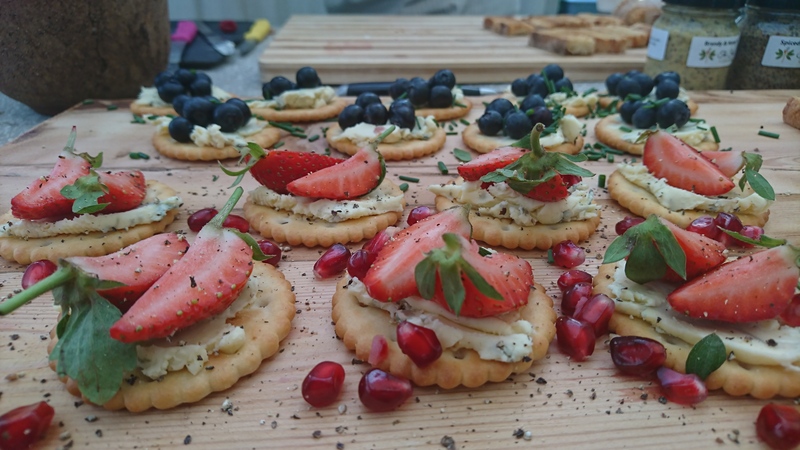 And the most delicious bites from the Feast Fairy – adding to the chilled vibe at White House Interiors. But, of course, there will be another opportunity! (First one – 5th of April – follow http://www.tuningthevine.co.za/joziwineroute/ for all the deets!) And I am now even more obsessed with stemless wine (NOT tumblers!) 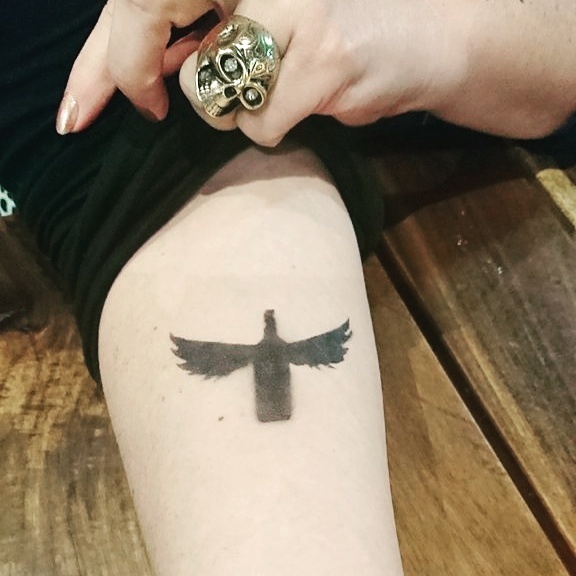 glasses – and eager to get my permanent ‘flying wine bottle’ tattoo! #JoziWineRoute is in our blood now! So is the April one going to be Parkhurst again?